IJT Energy LTD - Bathrooms, Central Heating Engineer based in Tyldesley, Greater Manchester. 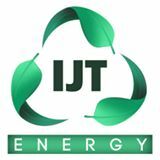 IJT Energy Ltd are a dedicated specialists priding ourselves on the highest quality of work at a competitive price. Each job we do is treated as if it was our own home, all installations are done with as little as possible disruption to your property. We have a full range of boilers available to suit all budgets and to fit every properties requirements. Boilers are available with up to 10 year manufacturer's warranty. We provide excellent aftercare service to help resolve and problems you may have quickly to avoid you being left without any facilities. We provide annual services for your boiler to ensure your boiler stays within the terms of your manufacturer's warranty. For free quotes and advice contact us any time, we look forward to hearing from you.